Alter The Press! 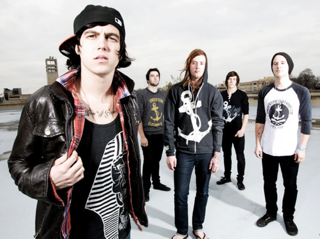 : Sleeping With Sirens Stream New Single "Dead Walker Texas Ranger"
Sleeping With Sirens Stream New Single "Dead Walker Texas Ranger"
Sleeping With Sirens have released their new single "Dead Walker Texas Ranger", which can be streamed by clicking read more. The band are currently on the road supporting Pierce The Veil on their "Collide With The Sky" headline tour alongside Tonight Alive and Hands Like Houses. All dates and ticket information can be found here. Like what you hear? "Dead Walker Texas Ranger" is out now and can be purchased digitally here.